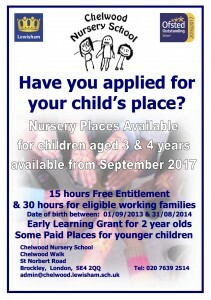 Children can start at Chelwood the term after their third birthday, starting in either September or January. Now that Lewisham has a single point of entry into primary schooling Chelwood’s main intake has become September each year, although places do become available at other times in the year. Places are allocated according to Lewisham Council’s admission policy, which is published every year in the ‘Starting School Booklet’ and is available on Lewisham’s website. It is the Local Authority’s policy that children should attend for a minimum of three school terms, but we hope that children will attend for four or five terms where possible. Places are offered in the Spring term for the following September intake. To apply for a place at Chelwood parents or carers are asked to visit the school around the child’s second birthday, to complete an application form. Applications can be made any time between 9.30 am and 4.00 pm, no appointment is necessary. Alternatively you can download the application form below, complete it and return to admin@chelwood.lewisham.sch.uk or to the school office. 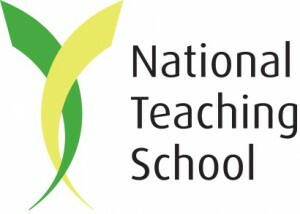 It is often possible for children aged between three and four years to attend a nursery school or a nursery class attached to a primary school. Nursery class attendance does not prioritise the child’s right to attend a particular school at the age of five years. 1. Children in Public Care (details to be supplied by the allocated social worker or foster carer). 2. In exceptional circumstances there is discretion to admit children on the grounds of their or their family’s acute medical or social need for that particular school and who would not otherwise qualify for admission. ii) living closest to the school. Children applying for a place at Clyde or Chelwood Nurseries will only qualify for a place under the sibling criteria if their older sibling is on the roll of the nursery when the application is made and is expected to be on the roll of the nursery at the intended date of admission. 4. Children who live closest to the school.